Glock’s dominance in the LEO market is epic. Over 68% of the market is staggering. But that’s actually not that surprising to me. What is, well, not so surprising, but disappointing… is the complete falling of SIG and Beretta. 22.6% and 8.5% respectively. As bad as that is… is the results of the question “What would you like to carry?” Those numbers being only 21.3% and 4.6%. No longer the Choice of Professionals. This very clearly tells us that the time of metal framed guns fired with hammers is going the way of the Flint Lock. This saddens me. I prefer the metal-hammer guns over poly-striker guns. The feel, the weight, the superior single action pull… and that I can pull more accuracy out of a hammer fired gun. As unpopular as Cream of Wheat. What saddens me the most about this though – is that it tells me that Law Enforcement is no longer a Profession of Shootists. Like the FBI, Municipal Law Enforcement isn’t a Gun Culture anymore. They no longer want fine guns of refinement and craftsmanship… they only want Shooting Appliances. They want guns – and this is the secret to Glock’s success – that are simplified down to the lowest common denominator. Yes, I’ll say it. Glock is the Common Core of handguns. Most LE Agencies are not hiring shooters anymore. They want guys with education in Psychology and Human Development… They want Councilors. We saw this trend starting 20 years ago. I think this is why we see so many questionable police shootings… so many cops shooting dogs. I think a lot of these COP 2.0 guys may be power tripping… because the guys that come from the Gun Culture don’t get worked up or feel the need to power trip and flex their authority so much as these C2.0 guys and gals. The Sidearms used by the most astute of shooting professionals remain hammer fired, metal framed guns. The US Navy SEALs, I must point out – having the freedom of using anything they want, use SIG 226’s. I don’t know any single group that personifies a Gun Culture more than the SEALS. They take Pistol Craft more seriously than any other group… with US Air Marshals being a close second. And they want that SIG. They want a stable shooting platform with as much accuracy as you can have in a Semi-Auto handgun. 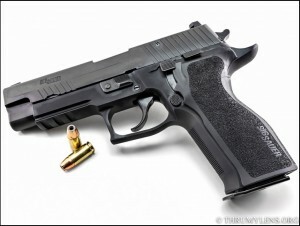 In the Consumer Market – sales of SIG’s and Beretta’s are down. Regardless of quality, and regardless of special offers and marketing efforts, you just can’t sell them like you used to. The first choice is Glock… followed by the S&W M&P and the Springfield XDM series guns. I’m not counting 1911’s – that is a market unique to it’s own, and I’ll talk about that in more detail at another time. For me – I will remain a fan of the SIG’s and the Beretta’s. I prefer the triggers. I prefer the safeties. Now, if you are going to go Glock – get a new trigger system from Lone Wolf. Get some new sights from Lone Wolf. And you can make the most out of that Glock, if that’s what you prefer or have to live with. And I do appreciate the Glock for what it is… and do like them with LWD triggers. But given my druthers, I’ll take my Beretta over any Glock. Oddly enough, the guns I want the most are all metal framed, hammer guns of the Revolving variety. With only a couple automatics. A SIG M11A1 is one the autos. The other are Browning/FN Hi-Powers and a SIG P210. But my beard is grey and I don’t like the music these kids listen to these days. Oh… and get off my lawn. Previous PostProbably still my #1 Favorite Firearm.Next PostThe Lead Trojan Horse. For what it’s worth, I finally got rid of my SIG P228 a few weeks ago. I’d had it for over two years, and I couldn’t make myself love it. Nothing to do with the action: the gun just didn’t fit me. 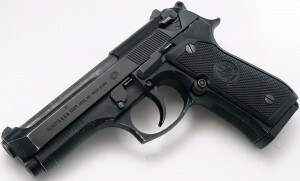 And before the wailing and gnashing of teeth commences, I did replace it with another hammer fired DA/SA gun: a CZ-75. It fits my hand so much better than the P228. I just wish the CZ’s DA trigger was as nice as the SIG’s. The CZ 75 is a great gun. Just needs some trigger work. Over 68% of the market is staggering. ……is it drunk? You win the internet today with this comment! I know Sigs are expensive…that mighy have something to do with it. Do SEALs buy their own guns? How many SEALs are there VS number of cops on a big city dept? I just bet if Sig and Beretta lowered their prices…we would a resurgence in their use. Big city cops and suburban cops do not buy their guns either. The sigs and berrettas cannot be lowered and be profitable, they are more costly to make. It’s very simple…Glock has one hell of a propaganda and customer support machine. Glock will send a departments representatives to the Glock armorers school for free, will buy any handguns you already have and pretty much give you brand new pistols for little money on your part. Beretta and Sig just don’t court smaller departments like Glock does. Yeah I was going to make a comment to that effect. That and I think Glock just sells their guns cheaper. Like that preferred seller program that made some news recently. Call me a conspiracy nut but I have a suspicion that big PDs are getting a special deal. Municipal Law Enforcement has not been part of “gun culture” for more like 50 years, and FBI not sense 1948-1950. There have always been “Gun Guys” in most law enforcement organizations, but it does seem like they are being actively shunned/avoided by hiring personal. As far as gun being a “shooting appliance” I think that began when “brass” began mandating guns based on “Safer” for the public. And limited liability for the bosses. I love a Beretta as much as anyone, but I finally gave in and bought a Gen 4 Glock 19 a month ago. Since the first time taking it to the range, I shoot it better than any other gun I have fired. The trigger feels perfect to me, and the grip angle is right on with my grip as I press out. During this past month I have tried to convince myself that I should still carry the Beretta, but the Glock keeps finding its way into my holster. It will probably have a little brother in the way of a 26 when the heat of Summer comes around (I got a Shield 9 last Summer for the hot months, but I can’t shoot that thing worth a flip). Regarding this survey, I think most cops are going to want to keep using what they’re trained on, which is why the “what do you wish they issued” question results pretty much mirror the “what do they issue” question results, minus the people who are unsatisfied with their issued piece. Glock is most popular because of pricing. They win the market share they have on three factors. 1. They are the cheapest of the “top tier” guns, especially for LE. 2. They offer the highest factory capacity for caliber of any major manufacturer. 3. Their guns are usually the least bulky in their class, ex. a G19 is shorter and thinner than a P229, etc. Striker fired polymer pistols are growing in popularity because everyone is trying to copy Glock’s success, but they all miss those key elements. But… I love Cream of Wheat. I would be interested to know what the data would be on private purchase firearms as I would believe that the results would be much different. Almost no police department in the US dares issue anything that could reasonably be called single action due to liability issues: according to Mr. Ayoob. I don’t have anything against Glocks, but I don’t want a 10 lb. New York trigger on any pistol. We apparently have more flexibility in choosing our EDC guns. I used to lust after Sigs until they hired the guy who ruined Kimber now I don’t trust them. As for Glock they courted Law Enforcement more than any brand and they had good selling points. They were rugged, easy to maintain and repair, cheaper and had an easier to operate which meant training dollars saved. Throw in Glocks armors course (which can teach an amatuer everything he needs to know about glocks in a few days) and department discounts you have a pistol that is easy for bureaucrats to love. Not getting rid of my P220 or P245 – and not buying a Glurg. Hell I’ve never even shot a Glock and don’t know anybody who has one actually. Oh, maybe Pete has one, but he has Ruger SuperduperHawkthings too, or whatever – eww! Maybe I’ll get an M&P with the cut for a red-dot. Glocks work. They are virtually indestructable and will function with utter reliability when all others may fail. I do not enjoy it at the range. That is where I enjoy my Browning or even my Ruger Mark II target .22LR. But, where my life and that of my family is on the line, I trust the Glock. Implicitly, explicitly, every way. Maybe that is why it is hard to get LE to move away from them? Yes, its merely a tool, and not a joy like my other firearms. But, it is a darned effective one, and that’s what matters. You say that like its a bad thing. That thing about degrees in psych, and the like. Those shooters you lament the lack of, well lets just say that if you take a look at my blog under the heading “Cops Behaving Badly,” you might find some reference to the Chicago PD Special Operations Section. When the kidnapping and murder-for-hire plots came to light, they disbanded the unit. Because even in Chicago, you have to draw the line somewhere. All those guys with time in the military – who really loved to shoot things – turned cops in standing armies. And they were the guys in New Orleans who decided to put on their jack-boots and goose step all over the 2nd amendment. So maybe we need a bunch of guys with degrees in constitutional law. As far as Glock is concerned, I carried one a number of years because it was light. Before that I carried a full steel (CZ knock-off). I still love to shoot that steel beast, but not carrying it everyday is fine by me. I guess the planets aligned again and it’s hate on Glock time again. I do carry a Glock now, but for almost 30 years I either carried customized (S&W) wheel guns or some variant of 1911 (there was also a brief foray into S&W automatics but I don’t talk about that much). My switch to Glock had nothing to do with “better” it had to do with ease of replacement and availabilty of spare parts. If (heaven forbid) I was ever involved in a self-defense scenario and my firearm was taken as evidence it would be a crying shame if it were my 3″ model 65 or 1st generation Colt CCO. Chances are I might not see either and replacing them would be a very expensive if not impossible quest. But if the gun in question was a Glock I can go get another just like it real easy. Plus having been trained to upgrade, repair and maintain S&W Revolvers and 1911 pistols maintaining a Glock is a simple task. I also shoot them just as well as I do my other handguns. I do like my external hammer guns and view them as pieces of working art. However if I had to pick a gun to get dropped, kicked across a parking lot, or disappeared into an evidence locker I’ll pick the Glock every time. Cost of the gun is almost a moot point. Your legal fees for basic self defense when you were in the right can be 50k. You could spend 200k. The dude you kill, his family and fruends could hassle you for 20 years, you end up in the news, lose your job, publicly called a racist by the local or national news etc. Who cared if your gun is worth 5k, compared to the above stuff, losing a 5k gun is nothing. Glock has become the Model 10 S&W M&P. Bland and functional, but few note the high commercial price of Glocks pays for the loss deals made to Police Departments. Who notes S&W Sigma SW9VE, the improved Glock with the lousy trigger. Better grip than the M&P or SD, but the trigger was modelled on the M10 revolver and the pistol was intended to replace the Model 10 on the hips of LEOs and Security people everywhere. Did not work out that way. I’m a long time 1911 and revolver guy, but I handled a Glock G41 the other day and I was impressed. The 41 is a great pistol. Gotta love it. But I prefer others over it. G19. It works, and I shoot it well. It also has a HUGE aftermarket base. Holsters, mags, you name it. Hell, Magpul is finally getting in the game. Call it what you will, but I can get replacement EVERYTHING for a Glock where Sigs don’t dare. Typo. Didn’t consider my X5 :). Definitely outclasses the 220. And costs so much that I would never even consider carrying it. The Glock will do, and should I need to use it, I won’t cry when it gets entered as evidence. Holy crap, wtf is this huff po?? Cops have never been shooters, really. Outside of ambushes and stake out crews, there has never been a reason to incentivise cops to be shooters. Glock works because its the best, everyday hammmer in the tool box. Good customer support, far much less bs when you have a problem and support to the field (the folks who buy their stuff). Why wouldn’t you buy this? The percentage of citizens armed with striker-fired pistols couldn’t possibly have anything to do with that statistic. If six in ten gun owners (not enthusiasts) are carrying a striker-fired pistol, and one of that ten has a negligent discharge; there’s pretty good chance that the nd will be with a striker-fired pistol. Factor in the enormous number of enthusiasts who have half a dozen different pistols and not enough spare time to train sufficiently to really manipulate one of them so they shoot up the place when they carry their striker-fired pistol because it doesn’t have that little trigger-discipline substitute lever sticking out of the side of it and you get a bunch of nd’s to blame on a pistol design. The FBI was never a gun culture from the beginning. Hoover hired sharp young lawyers with zero law enforcement experience. They created the “FBI Stance,” shooting one-handed from the hip. I have friends, who in the process of applying to law enforcement jobs, found that the FBI only wants young law students with zero life experience, instead of experienced operators with combat skills. Yeah, just read that on a blog belonging to someone named “Mad Ogre”. Anyway, if ONLY Common Core were as rigorously & ingeniously designed as a Glock.